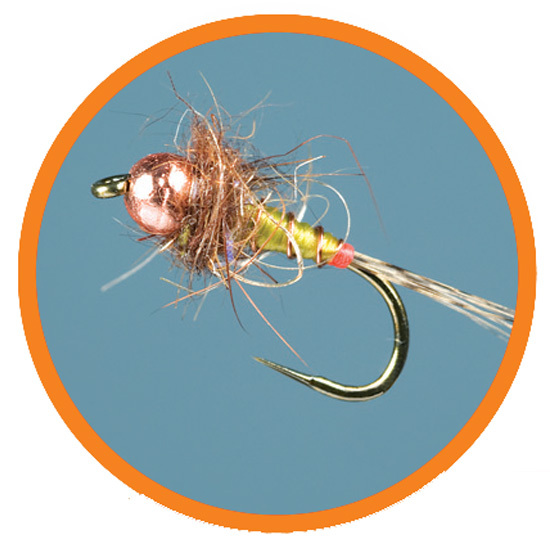 Who says it takes a lot of years to master the craft of fly tying? Dan Thomas is an inspiration to new tiers hoping to get on the fast track to making fish-catching patterns. I am embarrassed to say how long I’ve been tying flies. (Men were still stepping on the moon.) Even after many years of tying, my skill level is only slightly above the beginner’s stage but barely in the intermediate class. (I have a foot in both worlds.) I am always eager to try new tying techniques. (But doing simple things like making married wet fly wings still puzzles me.) As much as I practice tying, sometimes I feel like I am all thumbs. Hook: Tiemco TMC101, size 14. Thorax: Light olive SLF squirrel dubbing. Wing case: Brown Rainy’s Stretch Flex. Okay, enough about me. 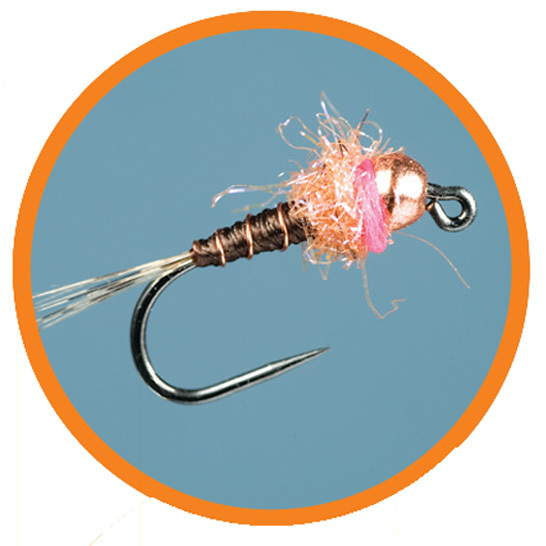 Now let’s talk about a good tier, someone who in only a few years (and who was born after men stopped hopping around the moon) has mastered the art of making high-quality flies that catch fish. 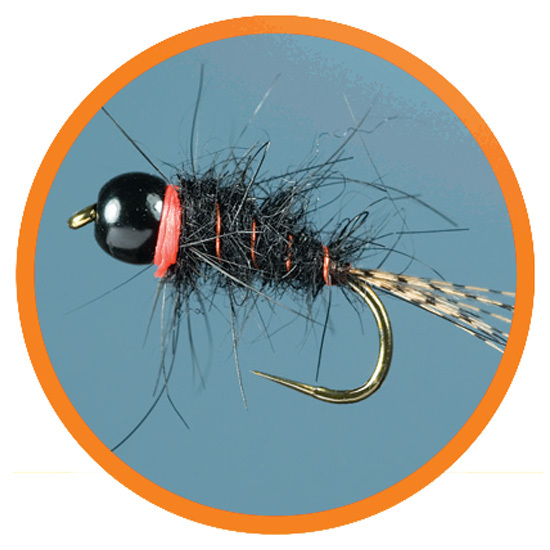 Dan Thomas, of Carbondale, Pennsylvania, is going to set the fly tying world on fire. He is young and talented, and he ties flies for real-world fishing situations. 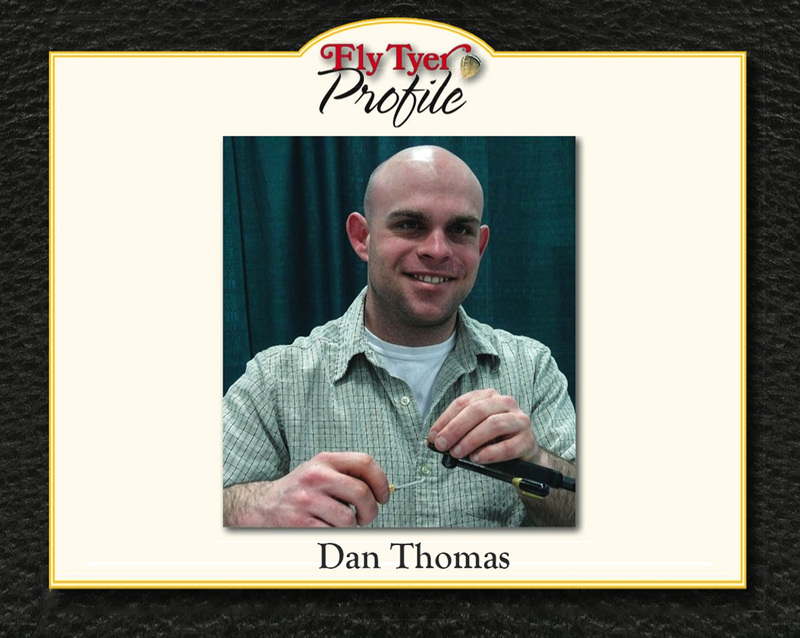 Dan will be an inspiration to experienced tiers looking for new patterns and techniques, and he will inspire novice tiers hoping to acquire the skills necessary to simply create nice flies. I caught up with Dan one evening after the end of a long workday; a long day for him, that is. He was on the road, holed up in a motel waiting for a delivery of Chinese food. His answer surprised me. I knew Dan was young and assumed he had a real job—but then, maybe I wasn’t so sure. 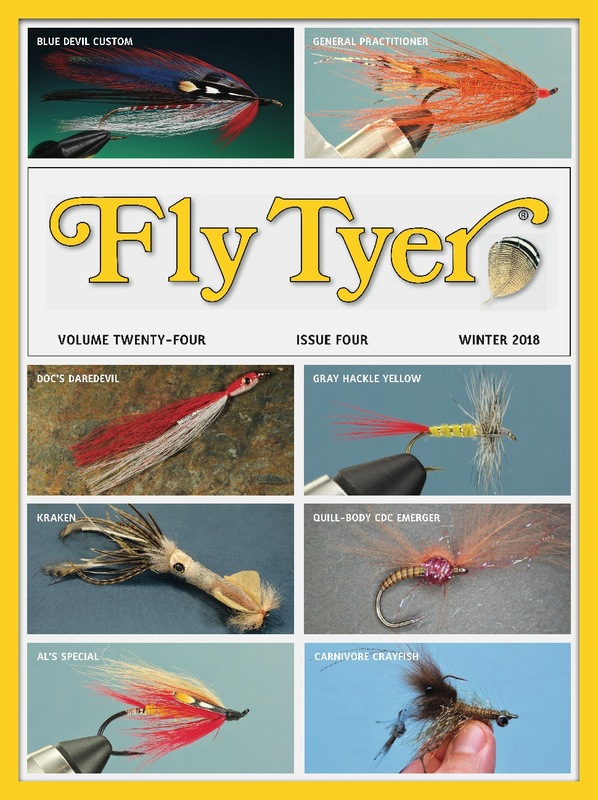 Most of the tiers I interview are retired or trying to make a living at fly fishing. I thought for a moment about the people who regularly appear in this magazine— Bob Popovics owns a restaurant, Aaron Jasper is a schoolteacher, Sharon Wright is an entertainer, Henry Cowen is a salesman, Morgan Lyle is a newspaperman. Dan fits in this group of working stiff/fly tiers, or, working stiffs who also tie flies. I like him. Hook: Dai-Riki 270, size 8. Rib: Root beer Krystal Flash. Legs: Knotted pheasant tail fibers. 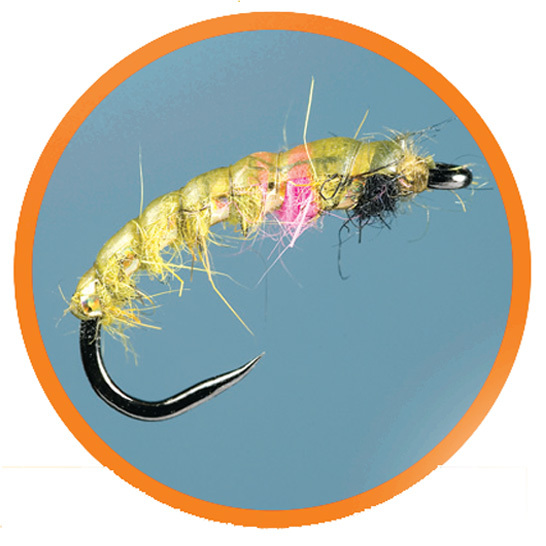 Wings: Grizzly hackle tips. Hackle: Cree. I asked Dan how long he has been tying flies, and he surprised me again. 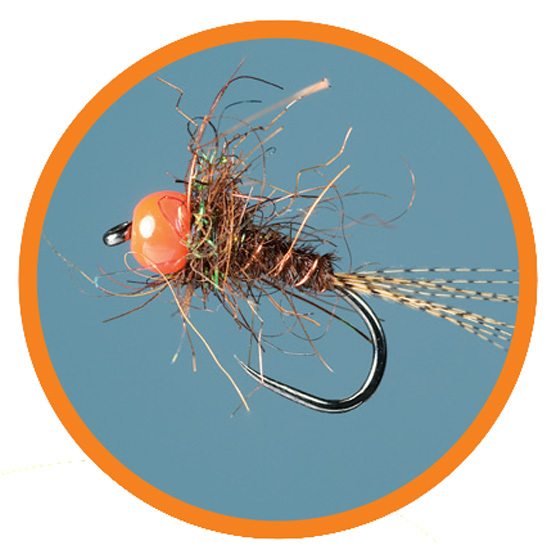 Despite his obvious expertise at the vise, he has been fly fishing and tying only a few years. Dan learned to tie the usual standard flies in a remarkably short period of time. He was soon developing his own patterns. “Ever since I started learning how to tie, I got bored tying other people’s patterns. Hook: Dai-Riki 135, size 14. Thread: Brown Uni-Thread 8/0 . Extended body: Woven chartreuse Vinyl Rib. Thorax: Chartreuse Ice Dubbing . 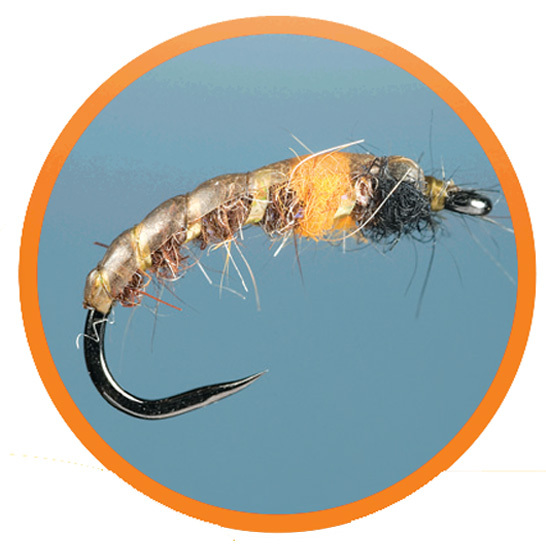 Thorax cover: Brown Scud Bac. Antennae: Two pheasant tail fibers . Like all tiers, Dan has had a few folks help him along the way. 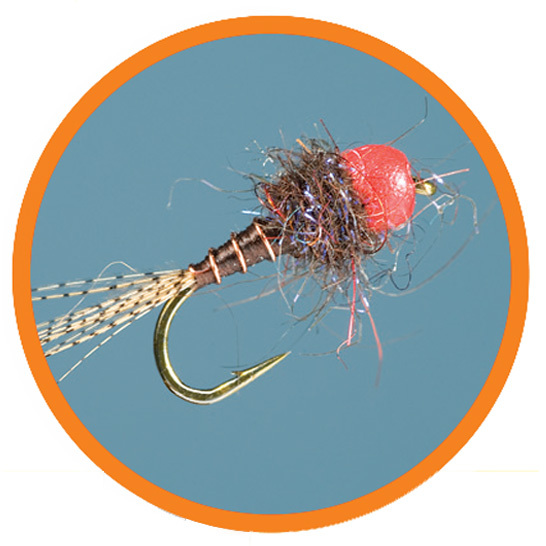 Ralph Graves, who is well known in Catskill fly fishing circles, was instrumental in helping Dan get started in fly tying. “There’s a funny story behind my Emerald Drake pattern,” he said. “That was one of the first flies I tied in front of people. I was at the Catskill Fly Fishing Museum. The staff warned me that a tier name d Ralph Graves would be com – ing to watch, and that he was brutally honest and critical about ever y tier that comes through t he door. They said it’s sort o f a right o f passage and not to take it too seriously. Well, I was tying some Little Sister Sedge patterns, and Ralph said he couldn’t see what I was doing and that I should tie something larger. So, I switched to tying a large drake. “Ralph asked what I was going to use for the tail, and I said I would use pecarry. He said, ‘No, that’s too stiff and the fish will feel it,’ So, I used moose mane. Hook: Dai-Riki 135, size 16. Abdomen: The calamus (hollow shaft) from a mallard flank feather dyed caddis green. Sheath: Tan cul de canard puff. Next, we talked about his nymph imitations, including a pattern he calls the Mugsy. This fly has wonder fully realistic gills. The WEB Pupa is another of Dan’s subsurface patterns. This caddisfly imitation features a lovely extended abdomen. I could hear a knock on the door, so I knew Dan’s meal had arrived. I asked if he could take just one more minute to explain the fly he calls the Ichabod Crane. It was late and I knew Dan was hungry. It was time to let him go. He was looking forward to another day o f work, and another evening of tying . Hook: Dai-Riki 125, size 14. Abdomen: Light dun snowshoe dubbing with a strip of pheasant tail over the top. Thorax: Light dun snowshoe dubbing. Wing case: Blue dun cul de canard puff. Hook: Dai-Riki 125 , size 16. Thread: Pale yellow Uni-Thread 8/0. Trailing shuck: Light yellow McFly Foam. Abdomen: Hackle stem dyed yellow. Thorax: Pale yellow Super Fine Dubbing. Wing post: Orange polypropylene yarn. Hook: Dai-Riki 135 , size 14. Thread: Oliv e Uni-Thread 8/0. Abdomen: The calamus (hollow shaft) from a turkey flat feather dyed olive. Hook: Dai-Riki 270, size 6. Body: Flat pearl Diamond Braid and red Loon UV Fly Paint. Eyes: Red/ gold Jurassic Eyes .